Carton box containing colorless (type 1) glass ampoule containing 2ml solution in PVC tray (colourless PVC against hard Aluminum foil) + insert Leaflet. In general, glucocorticoid dosage depends on the severity of the condition and response of the patient. Under certain circumstances, for instance in stress, extra dosage adjustments may be necessary. If no favourable response is noted within a couple of days, glucocorticoid therapy should be discontinued. Adults and Elderly Once the disease is under control the dosage should be reduced or tapered off to the lowest suitable level under continuous monitoring and observation of the patient (See Section 4.4). For acute life-threatening situations (e.g. anaphylaxis, acute severe asthma) substantially higher dosages may be needed. Cerebral oedema (adults): initial dose 8-16 mg I.V followed by 5 mg I.V or I.M every 6 hours, until a satisfactory result has been obtained. In brain surgery these dosages may be necessary until several days after the operation. Thereafter, the dosage has to be tapered off gradually. Increase of intracranial pressure associated with brain tumours can be counteracted by continuous treatment. For local treatment, the following dosages can be recommended: • intra-articulary:	1.6 - 3 mg large joints 0.6 - 0.8 mg small joints • intrabursally:	1.6 - 3 mg • in tendon sheaths:	0.3 - 0.8 mg The frequency of these injections may vary from every 3 - 5 days to every 2 - 3 weeks. For rectal drip in cases of ulcerative colitis: 4 mg diluted in 120 ml saline. Suggested doses for children Dosage requirements are variable and may have to be changed according to individual needs. Usually 0.2 mg/kg to 0.4 mg/kg of body weight daily. 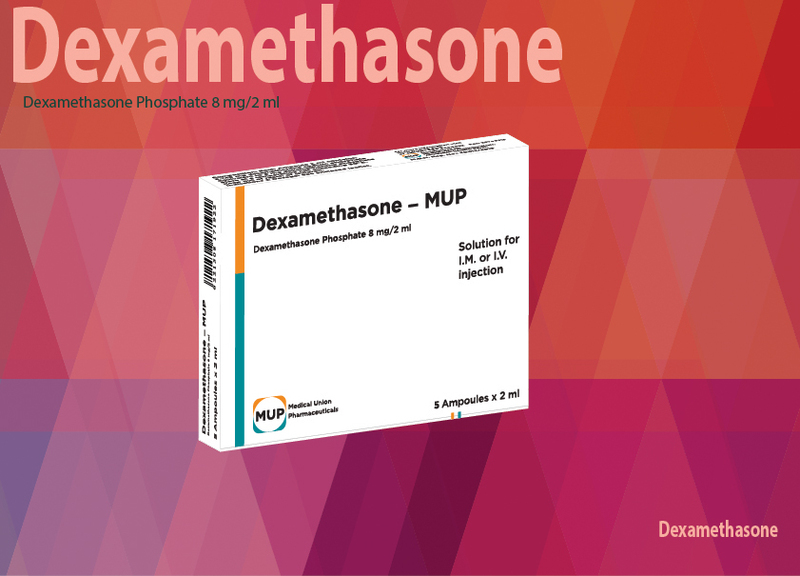 Administration Dexamethasone injections may be administered intravenously, subcutaneously, intramuscularly, by local injection or as a rectal drip. For administration by intravenous infusion: see section on compatibility with infusion fluids. With intravenous administration high plasma levels can be obtained rapidly. Rapid intravenous injection of massive doses of glucocorticoids may sometimes cause cardiovascular collapse; the injection should therefore be given slowly over a period of several minutes. Intra-articular injections should be given under strictly aseptic conditions. 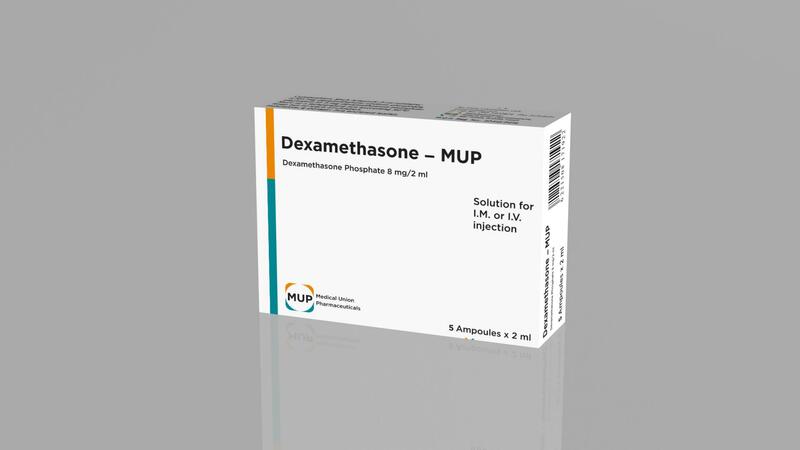 Dexamethasone can be used for all forms of general and local glucocorticoid injection therapy and all acute conditions in which intravenous glucocorticoids may be life-saving.